Museum friends are invited to be inspired by the movie “The Doctor from India” at the Neon Movies on Sunday, August 19th at 3:00 p.m. The movie reveals the life and work of Dr. Vasant Lad, the holistic health pioneer who first brought the ancient medical practice of Ayurveda from India to the west in the late 1970s. 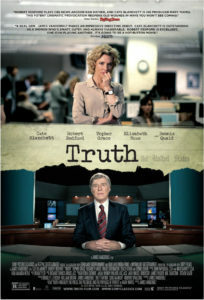 The movie is sponsored by Heartfulness Meditation from Beavercreek, Ayurveda Natural Health Center, and PeaceDayton. The Heartfulness Meditation team offers weekly meditation sessions at the Peace Museum every Wednesday at 5:15 PM. Please support our meditation partners. To learn more about the Weekly Meditations at the Museum, contact the Museum at [email protected] . Need more information? Send a message to [email protected] or call the Museum during operating hours — Wed to Sun 1:00 PM- 5:00 PM — at 937-227-3223. We are living in a time of much discord, both within the society at large, and within our own hearts. It’s a time when many people are finding the stresses of everyday modern life are taking a toll on their health, careers and relationships. What can we do to find some balance in such an overwhelming, fast paced world? One of the most important ways to maintain inner peace is through meditation. For most people, this advice is not new. They’ve heard it time and again, but with so much to do, who has time to do “nothing”? Ultra successful people like Steve Jobs, Oprah, Seinfeld, Madonna and many others credit meditation as a key factor in their success. If they have time to meditate, then surely we do too! The Heartfulness Way that Mullapudi describes is a century-old method of meditation with the power to facilitate an immediate, tangible spiritual experience, irrespective of a person’s faith. This non-denominational practice is taught all over the world, and most recently, the subject of a new best selling book The Heartfulness Way – Simple Tools for Spiritual Transformation. In this heart-centered book, a student, Joshua Pollock, is in conversation with his teacher, Kamlesh D. Patel—affectionately known as Daaji. 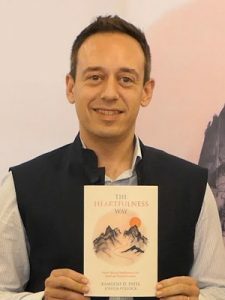 While many books describe refined states of being, The Heartfulness Way goes further, providing a pragmatic course to experience those states for oneself, which, per the book’s guiding principle, is “greater than knowledge.” Joshua Pollock is a Heartfulness trainer and practitioner from the United States. In fact, he visited Dayton in his early days of learning the Heartfulness meditation practice. He returns to Dayton on June 24th and June 25th to discuss the journey of writing this book, and how Heartuflness has changed his life, and can help yours too! 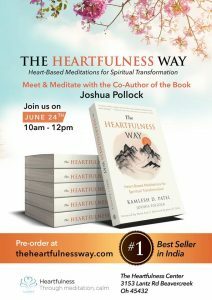 The sessions include Q&A with the Joshua Pollock, along with a 30 min Heartfulness medtation session. Find out how you can earn about the Heartfulness Way at one of two local sessions listed below. Also a trailer for the book is at bottom of this article. The Museum Board and Leadership Team invites you to join us for this important Museum event to honor the 2017 Nobel Peace Prize winner and Museum Volunteers, Donors, and Friends. Luncheon tickets are just $20 each– and a Patron Table for Eight is available for $500. Museum volunteers are free! Please consider making a donation above the cost of the luncheon. While the cost of the luncheon is not tax deductible, all payments above the ticket cost are fully tax deductible. Your generous donations support Museum educational activities, children’s and adult programs, exhibits, and operations of the Museum’s historic building at 208 West Monument Avenue in downtown Dayton. Dayton International Peace Museum, 208 W Monument Avenue, Dayton OH 45402-3015. Please join us for one of the most popular Peace Museum events– a wide choice of delicious soups, including old favorites, vegetarian and vegan; breads from Ashley’s Pastry Shop; salads; desserts; and beverages. Ann at 434-5992 or reserve on-line at www.daytonpeacemuseum.org. Payment to be made upon reservation confirmation. The Salem Avenue Peace Corridor and First Baptist Church Dayton are sponsoring this International Day of Peace celebration on September 21, 2017 from 4:00 – 7:00 pm. We will be walking from First Baptist Church (4:00 pm), to the Salem Garden and making stops along the way to recognize & celebrate symbols of peace along the Salem Avenue Peace Corridor (see map). You can walk, bike or drive along this path to peace! This event will happen rain or shine. Dr. Kathy Rowell, vice-chair of the Museum’s board, will be presenting information on the treatment of undocumented children at the U.S./ Mexican border. In recent years, over 100,000 children have been detained for crossing into the United States without documentation. Many of these children spend time in detention centers at the border. She will discuss lessons learned from a recent conference and trip to the U.S./Mexican Border. As part of the presentation, participants will watch segments of the documentary “WHICH WAY HOME.” This film documents the terrible journey facing children who often try to come to the United States to escape violence and poverty in their home communities. We will conclude the session with a visit to the Immigration Exhibit featured in the Museum. The Museum invites you to a simple Museum celebration on Saturday, August 26 at 11:00 a.m. in memory of longtime Museum friend and dedicated volunteer William Ray “Bill” Alexander. Bill, who died on February 23 2016 at age 77, was one of the first Museum volunteers beginning in 2004 when the Museum was in a small space in the former United Methodist Building on Riverview Avenue.